Choosing between Kansas City Steaks and Chicago Steak Company can be pretty hard, regardless of whether you have tried their products before. They both have impressive meat selections and their prices correspond to the quality of the meat they deliver. 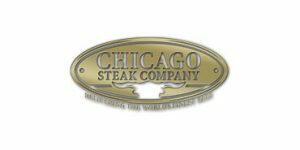 To make matters simpler and help you decide which service is more likely to satisfy your needs, we have designed the most comprehensive Kansas City Steaks VS Chicago Steak Company comparison on the web. Learn all the key information about these 2 services in the table below and find out which one of them is one step ahead of the other.